The unique collection of sounds of firing aircraft cannons and guns of World War 2. 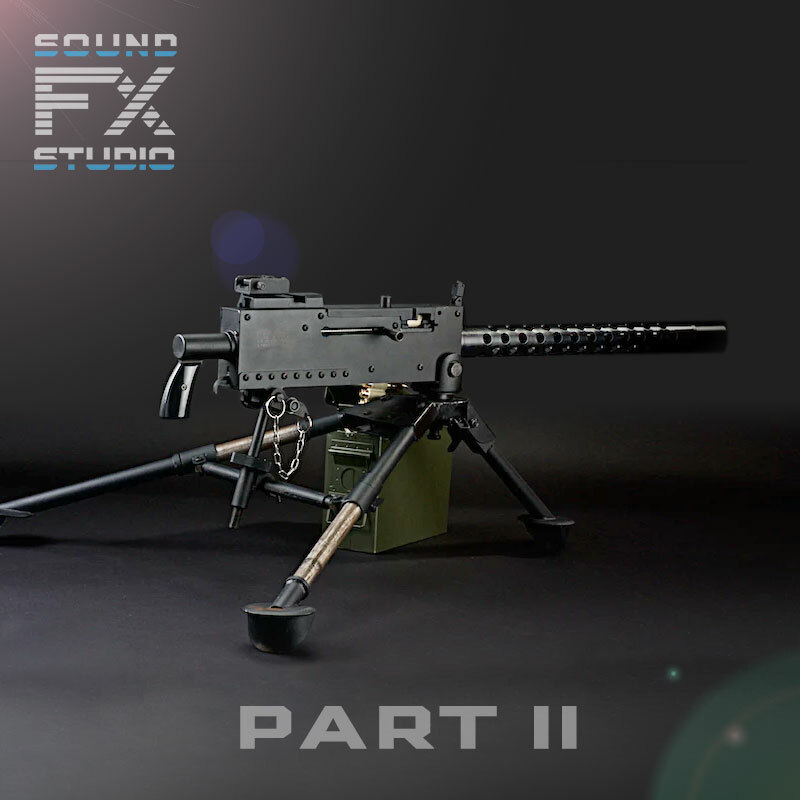 The WW2 Weapons SFX sound library Part I includes 14 seamless loops of firing weapons 8-12 seconds long and 14 sound endings to it. Use them and make your World War II real. Aircraft Cannon & Gun Sound FX Library – Part II includes such weapons as M2 Browning Machine Gun, Browning .303 Mark II (M1919 Browning machine gun), Maschinengewehr MG131 machine gun, Maschinenkanone MK108 cannon. United States and Germany used it as an aircraft, naval, and land-based weapon. The North American P-51 Mustang, Republic P-47 Thunderbolt, Lockheed P-38 Lightning, Curtiss P-40 Warhawk, Grumman F6F Hellcat and Vought F4U Corsair carried two, six or eight M2 Browning Machine Guns. Armament of the Hawker Hurricane and Supermarine Spitfire was two, four or eight Browning .303 Mark II machine guns. German Messerschmitt Bf109, Me410 Hornisse, Fw190, Ju88, Junkers Ju388 and many other aircraft installed Maschinengewehr MG131 machine guns and Maschinenkanone MK108 cannon. All these sounds from WW2 Weapons sound FX library, as well as their cockpit sound versions, prepared for sound designers as 8-12 seconds looped audio. You can find the 1st part of this library here. The demonstrations below use looped sounds and sound endings from the library.